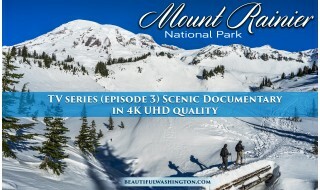 Mount Rainier National Park is one of the oldest and most popular parks in the USA. Located in southeast Pierce County and northeast Lewis County, this park is a true gem of Washington State that draws thousands of nature lovers, photographers, filmmakers, hikers, etc. The entire park was recognized as a National Historic Landmark District. It’s best known for its amazing and the most dangerous stratovolcano in the world, old-growth forests, crystal clear rivers and streams, mind-blowing views and stunning wildflower fields. Paradise area is one of the most popular areas on mountain's southern slope. It’s also the first place that comes to mind for spotting eye-popping wildflowers. In summer, outdoor enthusiasts love hiking there, bringing a picnic lunch, enjoying the vistas and, of course, walking among the lovely wildflowers. Mount Rainier's wildflowers bloom for a limited period of time every year. The peak of blooming depends on weather conditions and precipitations, so it is very difficult to predict. Though, in general lots of flowers are at their best each July and August. Travels come here to get up close view of incredible Mount Rainier, the highest peak in the Cascade Range that rises 4,400 meters above sea level. The best time to visit this gorgeous park is July, August and early September when meadows are covered with spectacular wildflowers, and the conditions are perfect for hiking. But there is something that can really upset you during your trip to Mount Rainier – WILDFIRES ! Of course, there are no wildfires in the park but the smoke, coming from the surrounding areas blocks the views. If you’re a photographer or filmmaker you should carefully choose the time to visit it in summer. On a clear day, you can see a marvelous mountain and views for miles but during the wildfire season, the visibility is very poor. Hikers can also face the same problem. The photos you can see below were taken during the summer wildfires. Mount Rainier had a faint haze that day. But it’s often completely obscured at this time. In fact, wildfires are a big problem in Washington State. For the last 4-5 years, the wildfire season has increased to 2 months - that’s nearly all summer long! In general, in 2018 Washington has suffered nearly 900 wildfires that burnt thousands of acres. Anyway, summer or winter, Mount Rainier attracts about 1 million people every year. 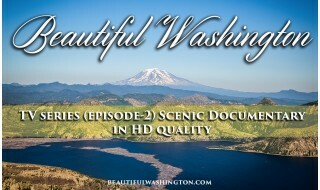 It’s a unique and stunning landmark in Washington’s landscape. 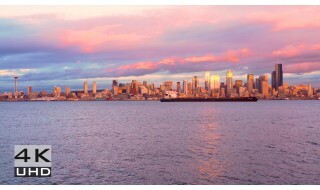 Take a look at the photos below and get a dose of Pacific Northwest’s summer beauty!